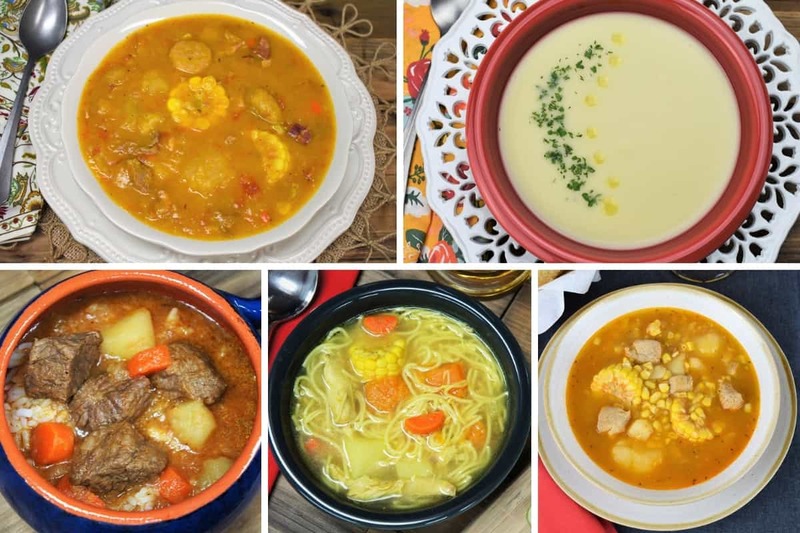 Here we’ve put together a collection of our favorite Cuban soup recipes. Each is different, with varied ingredients and delicious in its own way. Soups are a prominent part of Cuban cuisine. Bean soups are commonly served as a side dish with white rice. Cream soups and broths are served as starters. And some soups are so hearty and loaded with ingredients, that they are the meal. Some of the ingredients for these soups are basic, run of the mill ingredients you can pick up at any supermarket. Beans, beef, pork, corn, carrots, pumpkin, chicken and broths are all easy to find. Some of the ingredients, like ham hocks or shanks, are a bit less common but should be easy enough to find. When we get down to some of the root vegetables, like malanga and yuca, things may get a little more difficult. They may not be available in all areas, but where there’s a will, there’s a way. And who knows, you may discover other great ingredients on your search! We hope you enjoy our take on these Cuban soup classics. Oh, and just in case you’re wondering, they’re in no particular order. Truth is, we just can’t decide on a favorite. Ajiaco is a hearty soup that’s loaded with vegetables, including yuca, malanga, boniato, pumpkin, plantains, corn, onions and carrots. For the meat, this ajiaco features flank steak and two kinds of pork: smoked ham shanks and pork stew meat. The cooking time for ajiaco soup is about 2½ hours and the prep is pretty labor intensive. 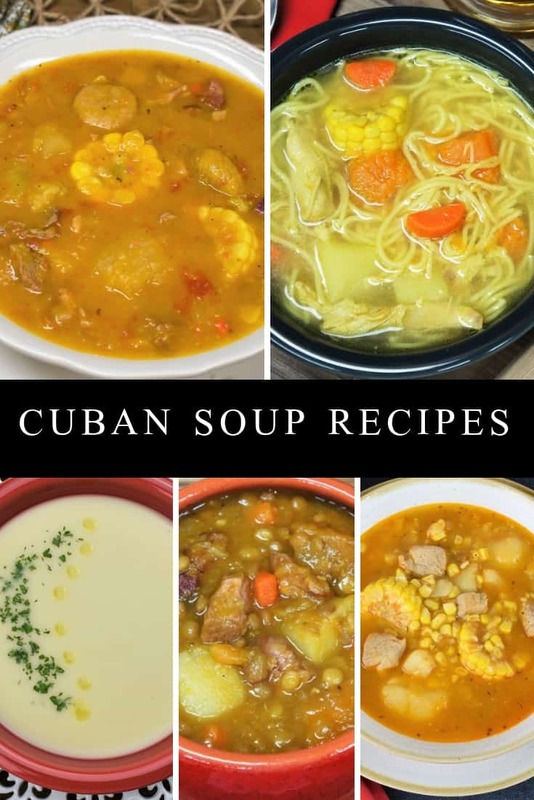 But, this is one of the most impressive Cuban soups, with a medley of tropical ingredients with unique, delicious flavors. 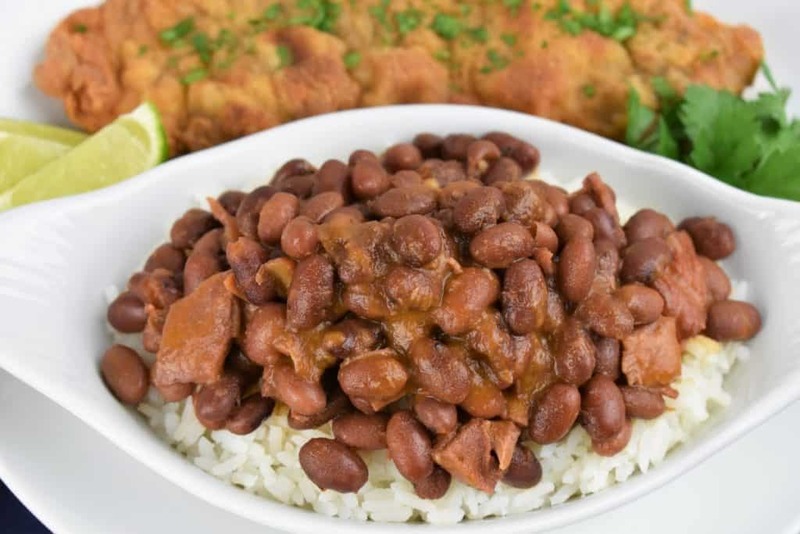 These Cuban style red beans are called frijoles colorados in Spanish. Beans are a staple in Cuban cuisine. This thick, red bean soup is one of most popular. 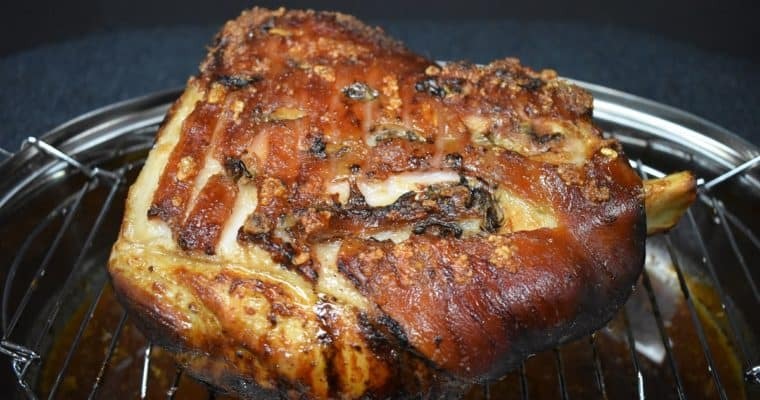 This is a simple soup with herbs, spices and smoked pork, like ham hocks or shanks. The prep on this bean soup is simple enough but, like with all beans, the cooking time can be lengthy. Serve these delicious red beans as a soup or over white rice for the classic red beans and rice. 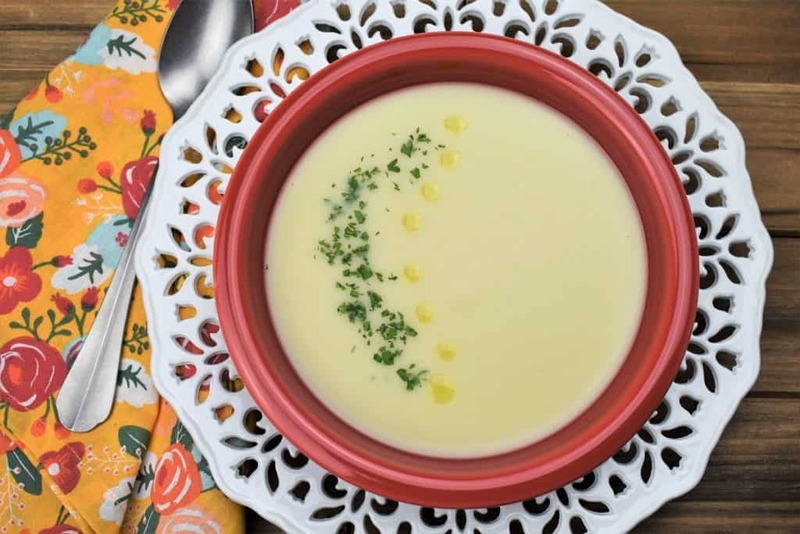 Crema de malanga is a thick, creamy soup. 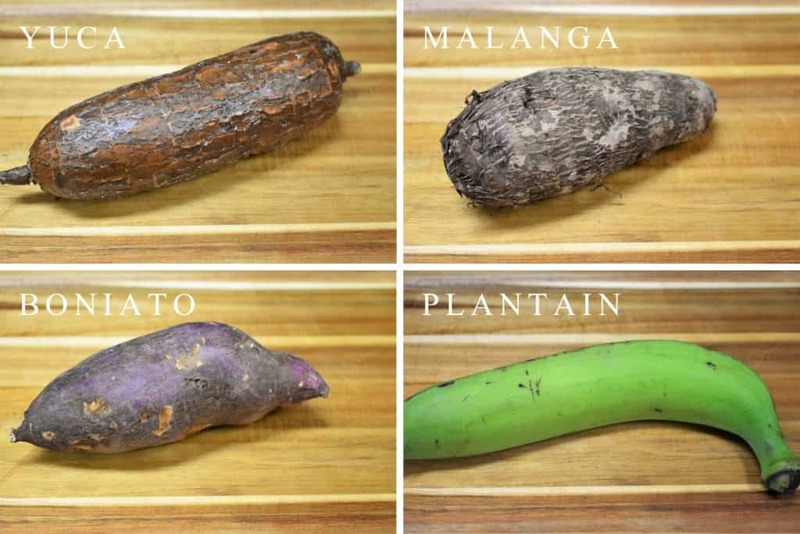 Malanga is a root vegetable, with a mild flavor. We keep the ingredients to a minimum so the malanga really has a chance to shine through. Onions, garlic, butter, olive oil, chicken broth and milk, that’s it. This malanga soup takes about 1 hour to make and the prep is a snap. Peeling a malanga is a little tricky, but we include some helpful hints in the recipe. Cuban corn stew is called guiso de maiz in Spanish. 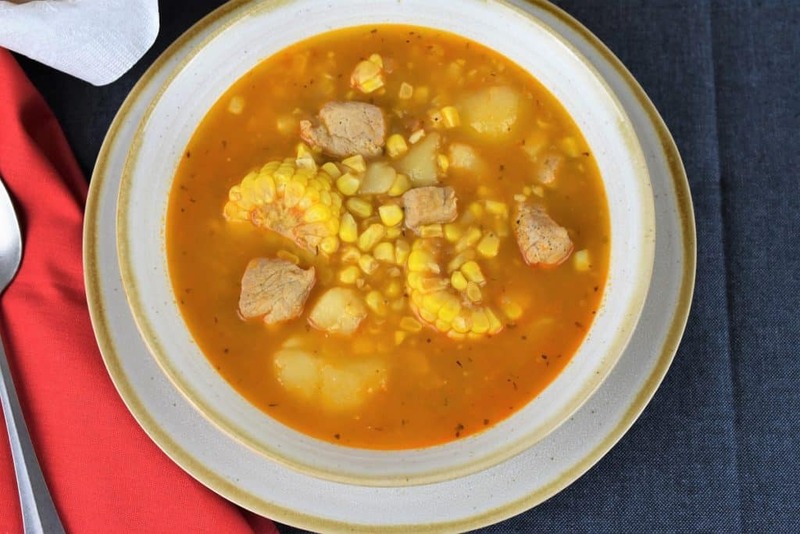 This soup features corn, as the name implies. We use corn cobs and loose corn, fresh is best. The soup is flavored with pork, onions garlic, tomato paste, spices and potatoes to add a little body to the broth. 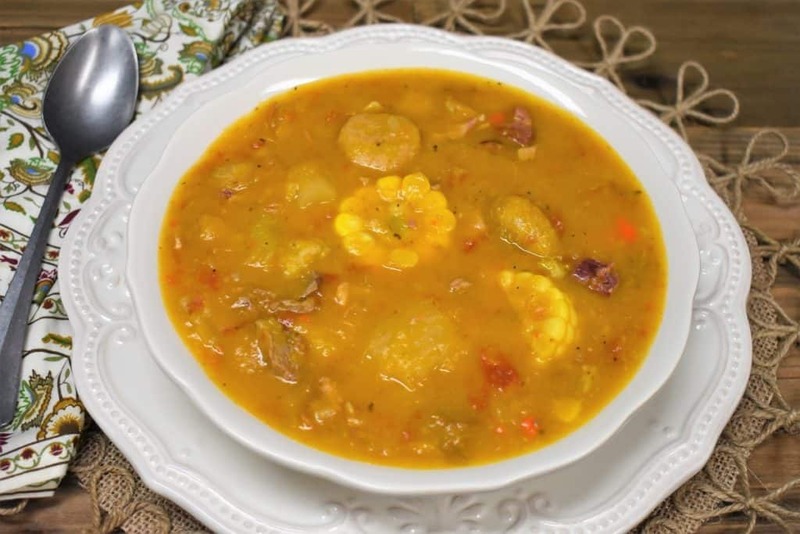 It takes about 1 hour to cook this delicious Cuban corn stew. The prep is pretty easy, but it does take a little time to break down the corn. 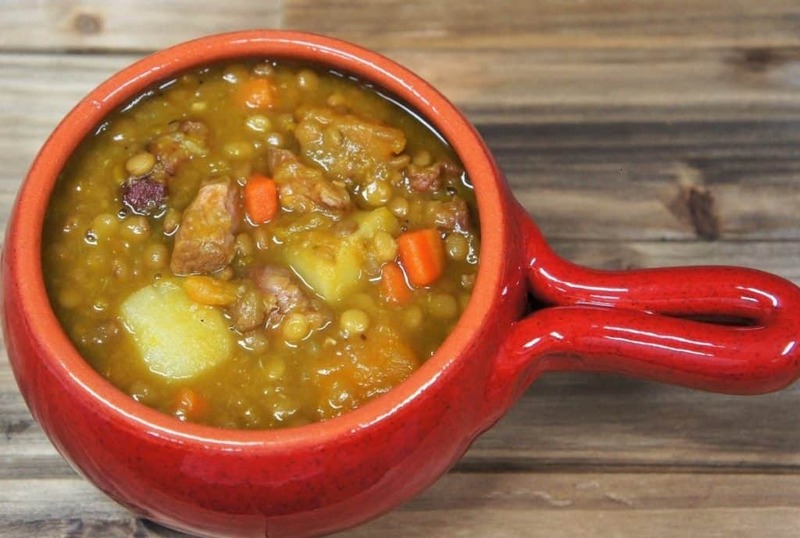 Potaje de lentejas is a thick lentil stew that’s loaded with goodness. Onions, garlic, tomato paste, smoked pork, spices, potatoes, and pumpkin flavor this amazing stew. Lentils are great because they cook up pretty quick, by bean standards. To make this potaje de lentejas you’ll need a little over 1 hour. The prep won’t take too long, since you can work on the potatoes and pumpkin while the lentils get going. 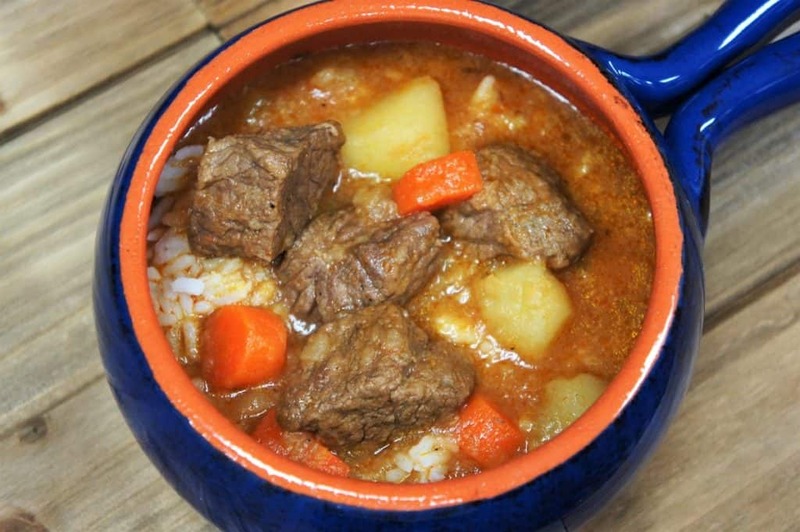 Sopa de res is a Cuban style beef soup. 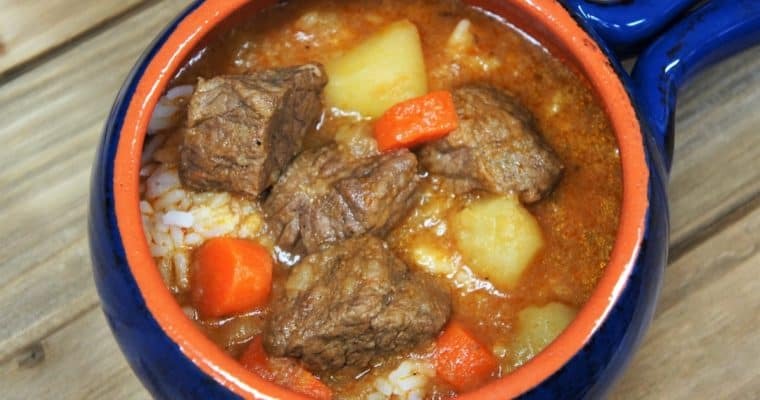 An inexpensive cut of meat is seasoned with spices and simmered in beef broth with onions, garlic, potatoes and carrots. Serve this beef soup over white rice for a filling comfort meal. The prep on this soup is pretty straight forward, and shouldn’t take all that long. The cook time is just shy of 1½ hours to get that inexpensive cut of meat nice and tender. 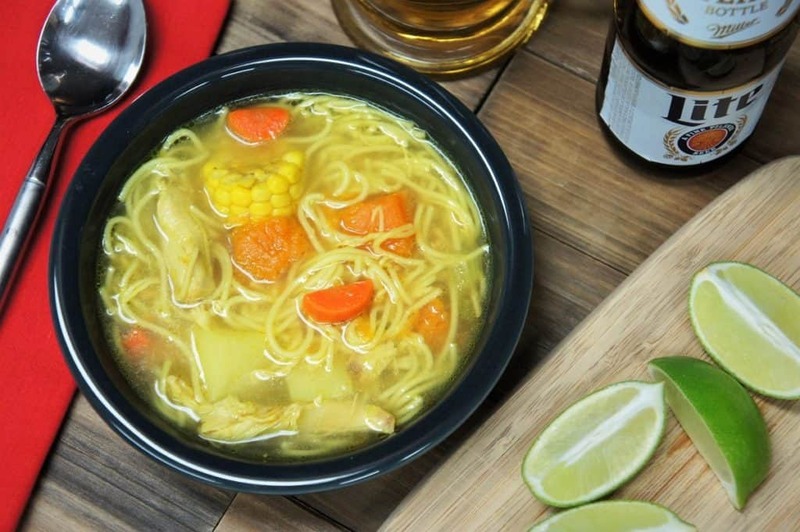 This Cuban Chicken Soup, or sopa de pollo in Spanish, is made from scratch. This recipe starts with making a homemade broth. Then we make the soup. With chicken, pumpkin, potatoes, carrots, celery, corn and fidelini noodles, this chicken soup is a labor of love. A lot of work goes into making this soup. From making and straining the broth to prepping the vegetables, this soup will take the better part of an afternoon. But, if you make this soup for your family, they will taste the love! We hope you enjoyed this Cuban soup collection. If you want to take a look at more classic Cuban recipes, check out our Cuban Food Recipes page.